New York-based Vader Systems, a provider of liquid metal 3D printing solutions, launched three new Magnet-o-Jet™ technology products at the recently concluded Rapid + TCT 2018 event in Texas, USA. 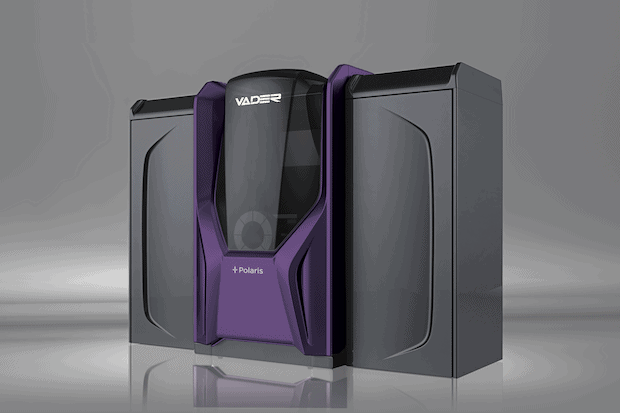 Vader Systems represents a revolutionary advancement in 3D printing — eliminating the many issues inherent in legacy processes. Most of the current metal 3D printing solutions are costly and operate at low speeds. But Vader Systems’ are a100 times faster than existing market solutions with safer handling and less waste. It thereby helps customers in building a Factory of Tomorrow with state-of-the-art facilities. The core of the technology is centred on the patented Magnet-o-JetTM technology. It is simply the manipulation of liquid metal through magnetism. 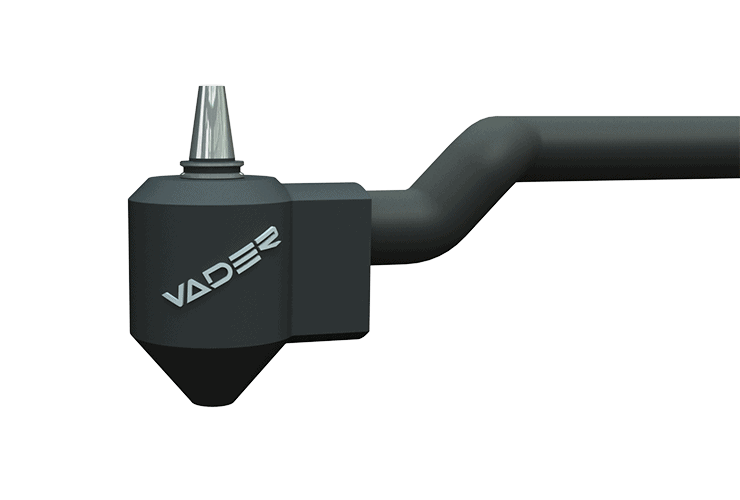 The Vader Polaris™ System is centred on the company’s patented Magnet-o-JetTM technology. It is a revolutionary technological advancement in 3D printing which will enable metal additive manufacturing to cross new frontiers. 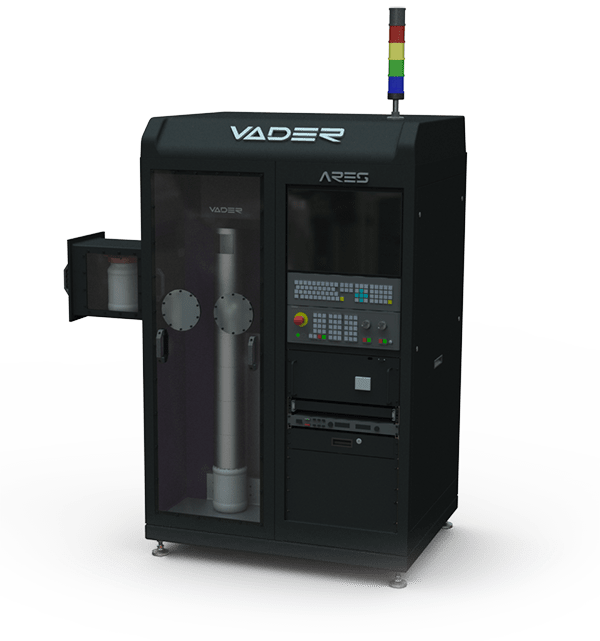 The Vader System propels liquefied metal from a 1200OC chamber enclosed in an electromagnetic field through print nozzles which are similar to regular inkjet printers. This allows for a complete control of the metal. It uses a wire feedstock and this helps in significantly reducing the operating expenses and reducing the print time. The Polaris system is operated through a touchscreen user interface with multi-lingual capability. Some of the advantages of the Polaris system includes 99.5% dense parts, with low residual stress, less warping, waste reduction & cost savings, no hazardous material, safe handling, storage, and shipping, etc. This patented technology is based on the application of Magnetohydrodynamics (MHD), which simply means the manipulation of liquid metal via magnetism. Vader Systems provides customised engineered solutions to its customers on understanding their specific requirements. It provides customized Magnet-o-Jet™ subsystems to achieve complex manufacturing objectives such as hybrid manufacturing equipment and functional printing. This subsystem simplifies the production workflows and saves time with an integrated system. Some of the advantages of the Magnet-o-Jet™ subsystems include high throughput, minimal and targeted heat-affected zone, waste reduction, cost savings, safe handling, storage, and shipping, etc. 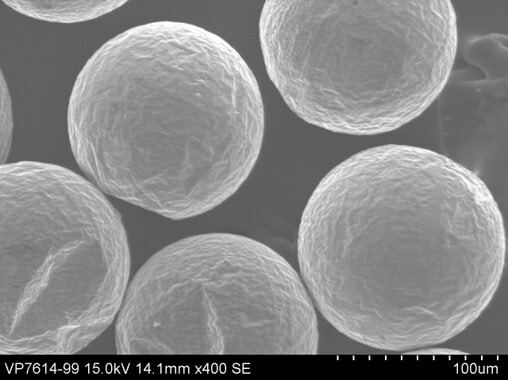 The Ares™ Microsphere production system is designed to produce a metallic powder called Vaderite™. This powder can be used for powder bed fusion metal additive manufacturing techniques. By using its patented Magnet-o-Jet™ subsystem, the Ares™ Powder System produces Vaderite™ which gives ‘unmatched sphericity, high flowability, and narrow particle size distribution’. One of the highlights of the system is designed for small batch production which helps in waste reduction and cost savings. The company claims an industry-leading sphericity or 98.6% spherical beads. It also enables on-demand batch production of customised alloy powders. The powder exhibits high flowability and hence 100% material is used up.